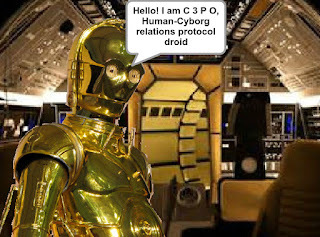 More Scratch: The Protocol Droid Awakens! The Hour of Code for 2015 is over, but I'm still enjoying programming with Scratch (you can too! 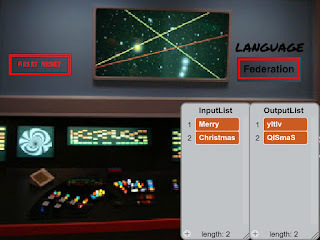 See scratch.mit.edu), so, to go along with The Force Awakens, here's a protocol droid programmed to know all kinds of words and phrases from the Galaxy Far, Far Away! QISmaS yItIv! Ho, Ho, Ho - an early Christmas present!